In the early 2010s, Iceland hosted an average of less than half a million tourists every year. By 2016, the country hosted more than three times that amount — 1.6 million. Today, Americans tourists now outnumber Icelands entire population. But the island nation’s near overnight transition to a travel hotspot did not happen by accident. It was the result of a powerful change in the way Icelandic Tourism marketed its brand experiences to travelers. The strategy Iceland’s hotels and travel agencies used to generate increased interest in tourism was simple, effective, and deeply transformative. They re-thought what they were doing on Instagram. Iceland stopped marketing itself as a vacation destination and instead played up its strengths as an adventure destination. It focused less on commodities like hotels, food, and pleasant experience, instead showcasing local features that would tell the most dynamic visual stories on Instagram. There was a mass reach-out to adventure-loving photographers and influencers, who posted breathtaking photos of ice, mountains, and intense terrain. The photos caught fire with travel enthusiasts on Instagram, and the rest is history. Kayak.com saw a 65% increase in searches for Iceland hotels in 2016. 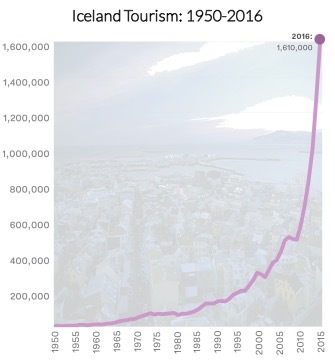 Iceland saw more than 3x tourism growth in 2016 compared the early 2010s. The annual number of American tourists now outnumber Iceland’s entire population. The hashtag #iceland has 7,336,980 posts on instagram. Instagram allowed Iceland make an impact based on the stunning beauty of its landscape, its towering volcanic scenery, and its unique wildlife. Consumers have shifted their priorities in the past decade. Particularly for Millennials, the promise of a visual, socially shareable experience is a priority during the decision-making process. Currently, the most effective way brands can market these experiences is with ads placed directly on Instagram pages. Whereas Instagram content can get in front of a large demographic, influencer marketing lets brands connect with a niche that is more active, and more specific. 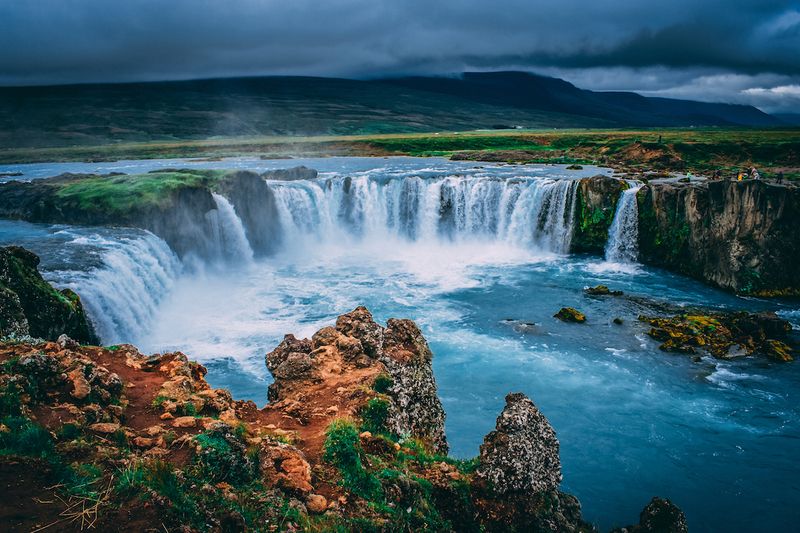 Iceland’s strategy succeeded because it targeted these established influencer-oriented, adventure-loving audiences instead of using pure demographics for publicity.